It’s time to go into battle with Warrior Strategy Now! Before you run screaming from combat, rest assured that the studio is far less intense and far more welcoming than its battle-inspired name may imply. 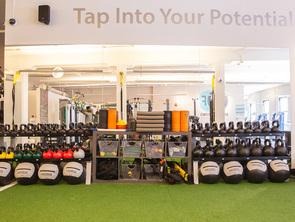 Warrior Strategy Now is less about boot camp, and more about training each student to become a self-actualized master of his or her own fitness, and an efficient-moving athlete ready to take on the world. 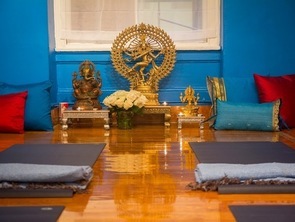 Unleash your inner warrior at one of this boutique studio’s 30-minute classes! Why We Love It: These classes will make you work like a warrior, but they also encourage you to have fun! Master trainer Karen Nuccio facilitates a fun group atmosphere, and gives each student the individual attention they need to work toward their goals with a smile. Why It's So Effective: Have you ever heard the saying “work smarter, not harder?” Well, Warrior Strategy takes a spin on this, and has its students work smart and hard…but for reasonable amounts of time. Karen Nuccio designs programs that are concentrated and focused, and teaches her students to perform activities with the proper alignment and intention, amping up results in the short, 30-minute classes. Know Before You Go: You’re not lost! It may look like a gorgeous townhouse from the outside, but on the inside, it’s a (gorgeous) boutique studio. Don't Miss: We’re sure even ancient warriors indulged in a glass of wine after coming home from battle! Check out "Warrior Workout and Wine" or "Warrior Not So Sober Core Meditation" for a killer workout, followed by a relaxing wine social with your fellow warriors. Added Bonus: Free mats, towels and water are provided at the studio.